On this day in April of 1919, my father was born. Had he lived, he would be 94 years old today. I miss my dad sometimes, remembering my childhood with our fishing trips and camping excursions…so I closed my eyes and wished him a very happy birthday, shuffled my deck and drew a card…. 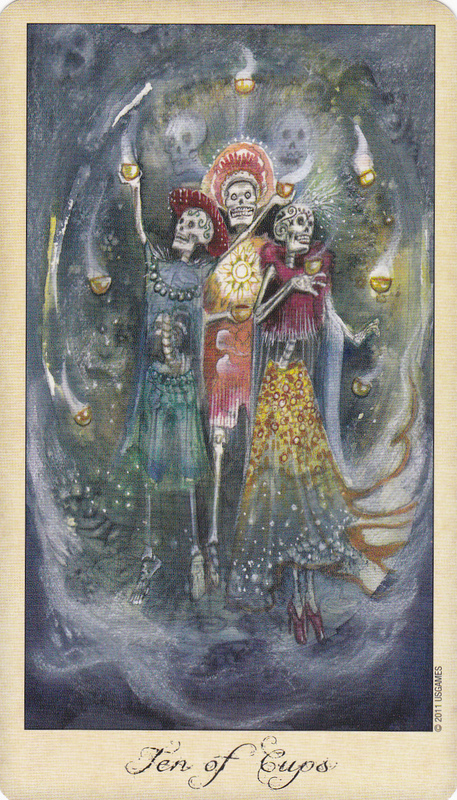 the Ten of Cups. I wanted to let him know that although he’s been gone for nearly 38 years, I have never once forgotten his birthday. What a wonderful message I received in return…Thank you, death does not mean goodbye!